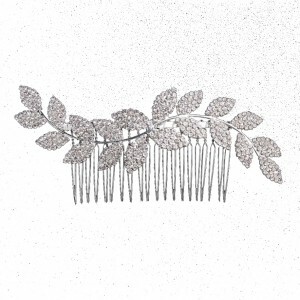 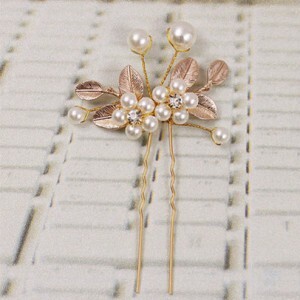 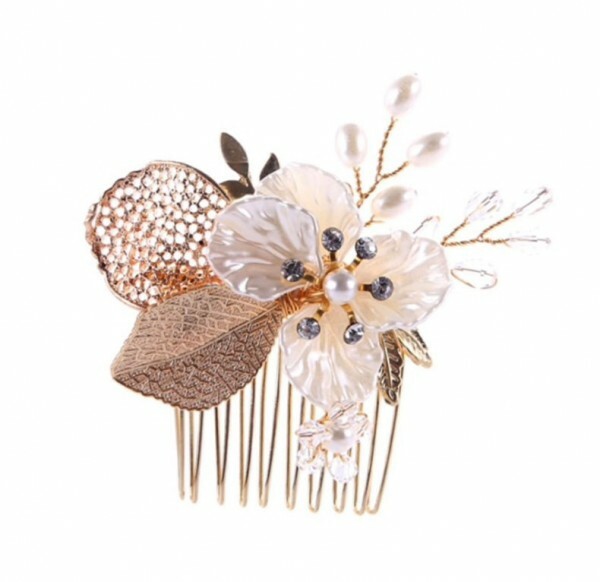 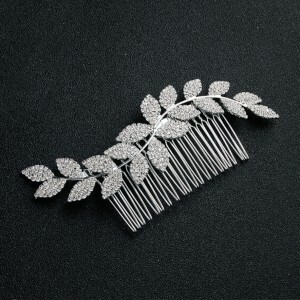 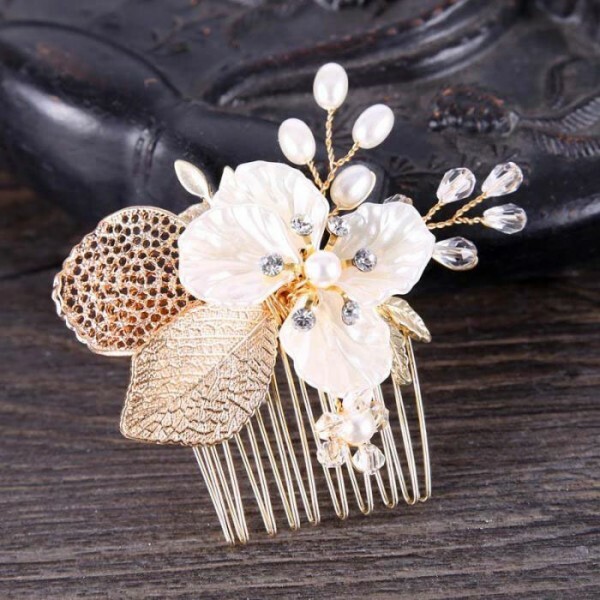 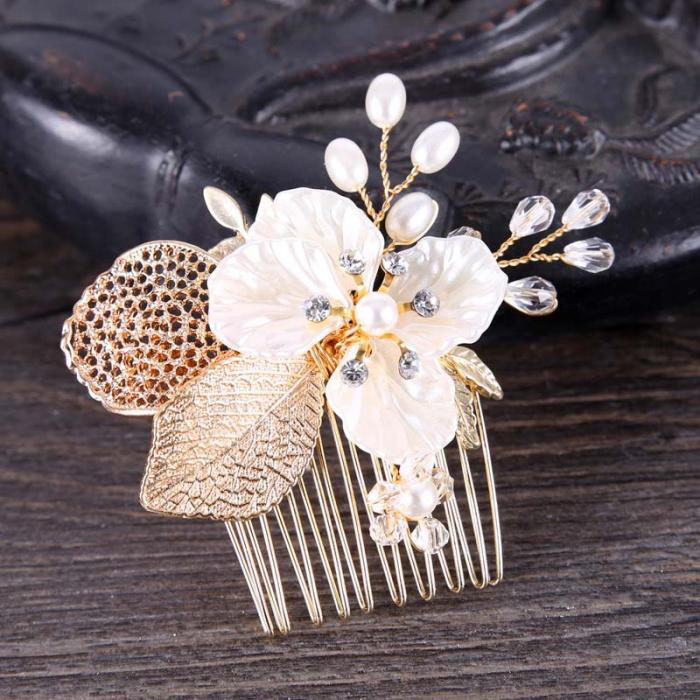 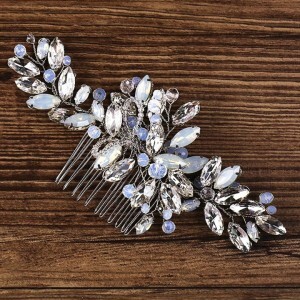 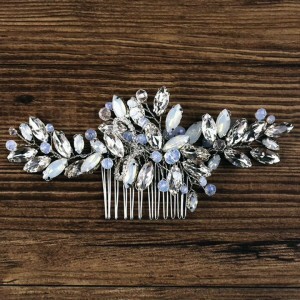 A petite jewelled hair comb in gold with leaf and pearl accents. 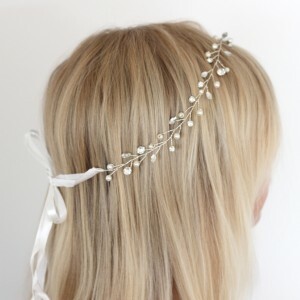 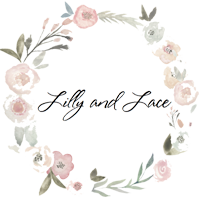 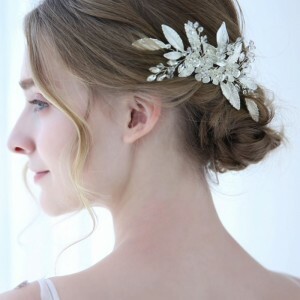 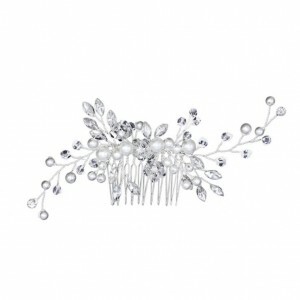 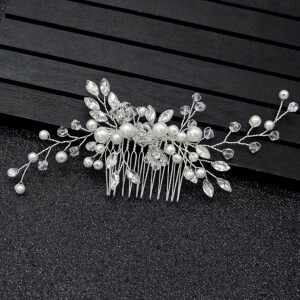 A pretty and subtle headpiece for bridal or deb wear. 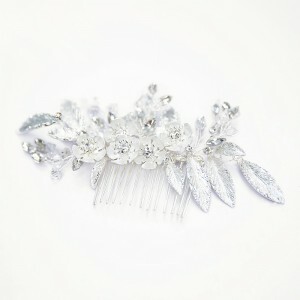 This headpiece measures 7cm wide x 5.5cm high.